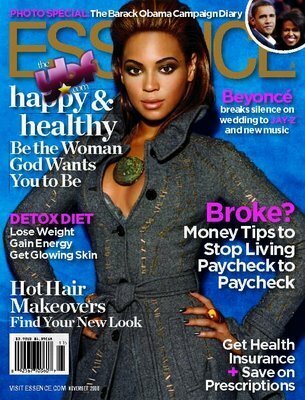 This entry was posted on October 19, 2008 at 9:17 pm and is filed under Entertainment, Fashion and Beauty, Love and Relationships, Music with tags Beyonce, Essence, Jay Z, marriage. You can follow any responses to this entry through the RSS 2.0 feed. You can leave a response, or trackback from your own site. They hyped it up. She didn’t say that much.. It was amazing thing for your blog. Hello. Great job. I did not expect this to be so interesting. This is a great story. Thanks!